2017 income tax preparation seems a long way off. Make it easier by tracking all the deductions you can take. You’ve heard it said before: Tax planning should be a year-round process. It’s so true. Your life will be a lot easier early next year when all your tax forms start rolling in. Forms like 1099s and W-2s do a lot of the tracking for you. You only need to transfer data over to your IRS tax forms and schedules. But what about the daily stuff, the expenses you incur as a part of your workday that no one else is documenting? There are a lot of tax-deductible costs that can really add up when it’s time to file. 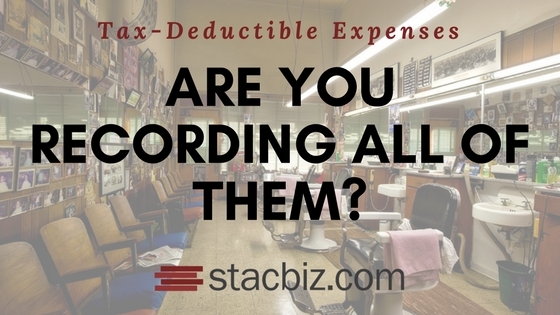 Warning: Some expenses that you think might be deductible are not. Obviously, you can’t claim the costs of personal items. The IRS specifies two other types of expenses that can’t be deducted: Capital Expenses and those used the calculate the Cost of Goods Sold. Questions? Ask us. Pulling together all that numbers required for the IRS Schedule C can be challenging. Let us know if you have questions. Here are some examples of expenses that you might not consider, but which should be recorded as they occur so you don’t forget about them come tax time. Do you have any kind of business insurance, like liability or malpractice? Your premiums are deductible. Understandably, you can only deduct expenses for miles driven for business purposes. If you have a vehicle—either owned or leased—that you also use for personal driving part of the time, you’ll need to track those two separately. There are two options for calculating business mileage: Actual Expenses and Standard Mileage. To calculate the latter, you’d multiply the number of business miles driven by 53.5 cents for the tax year 2017, then add tolls and parking fees. The Actual Expense method is more complicated; it involves many costs and recognizes depreciation of the vehicle. 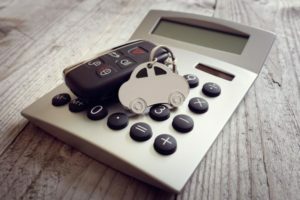 Check with us if you’re planning to claim expenses for a car or truck, as there are additional rules governing this deduction. Yes, they’re deductible if you need them for your business. Familiarize yourself with the rules for this one. They’re complicated, and the IRS looks closely at such deductions. Ditto. There are all kinds of regulations, restrictions, and exceptions here, even if you use the simplified method that the IRS introduced a few years ago. Further, the home office deduction can be an audit red flag. The rules are very specific and very rigid. For example, even if you use your home’s land line for business, you can’t deduct it. Add another line for business, and you can. If you pay an individual or firm for services provided to help you operate your business, those fees are often deductible. This includes lawyers, accountants, and tax preparers, of course, but as always, there are exceptions. You can’t usually, for example, deduct attorneys’ fees if you were getting legal help to buy business assets. As you can see, there are many allowable business expenses that require meticulous record keeping. You can, of course, do this on paper or in a spreadsheet. There are cloud-based applications specifically designed for this purpose. If you’re interested in checking these out, let us know. We’re always available to help you plan for future tax filings.